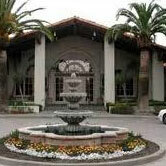 Menifee Lakes Country Club is open to the general public offering a beautiful golf course, restaurant, and a bar. From 10 to 2 each Sunday MLCC hosts a popular champagne brunch buffet in the grand ballroom, reservations are strongly suggested. 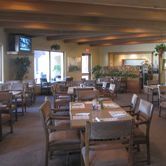 Their restaurant, the Palm View Grill, is open for breakfast and lunch daily and their bar, the Mountain View Lounge, is open for happy hour 7 days a week as well. 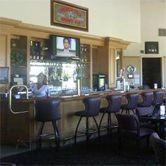 The Mountain View Lounge is open until 9 pm on Monday and Thursday and often features live entertainment from local musicians as well as drink specials and appetizers.